worker and male only described (see Bolton, 1995) . 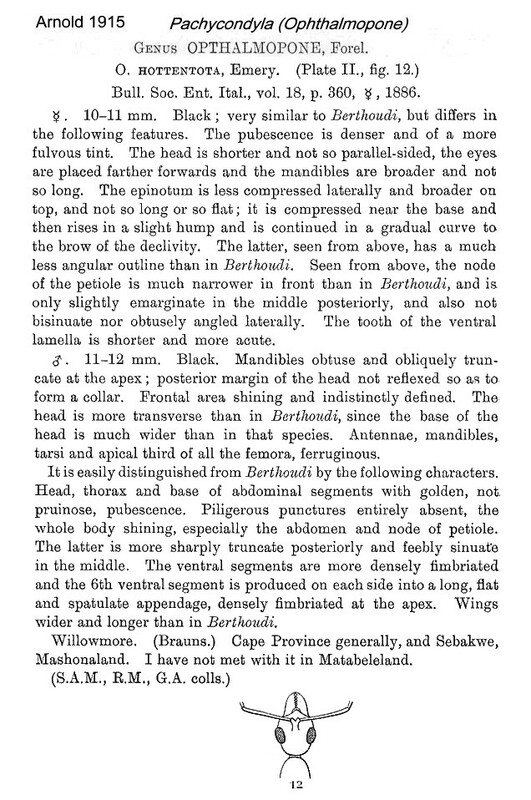 Emery's (1886) description is at . 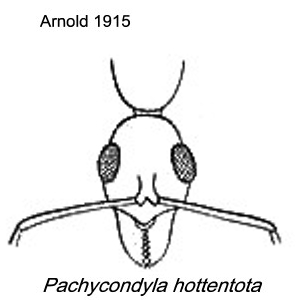 Arnold (1915: 52) gave a translation; this is at . 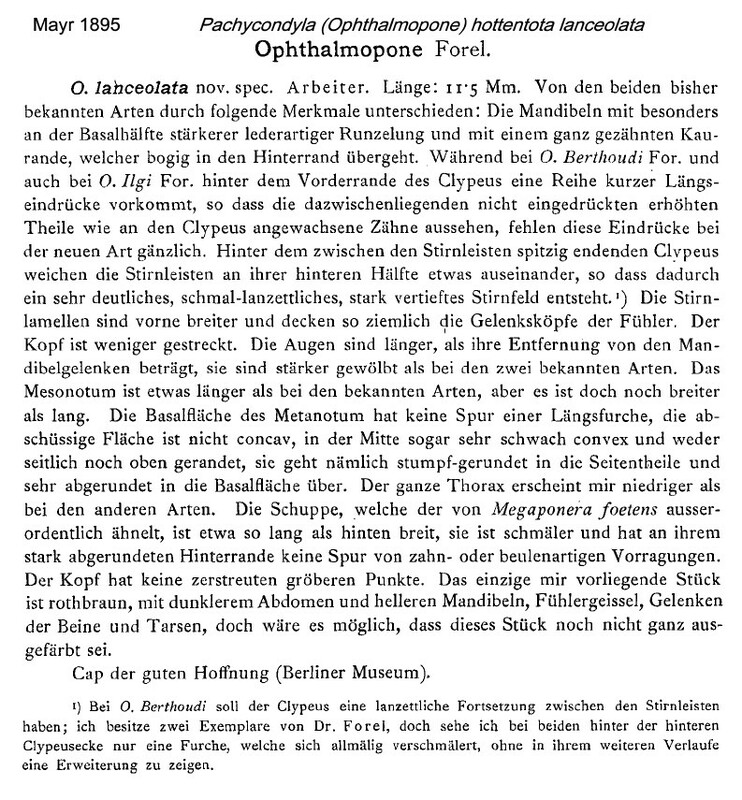 Mayr's (1895) description of lanceolata is at . 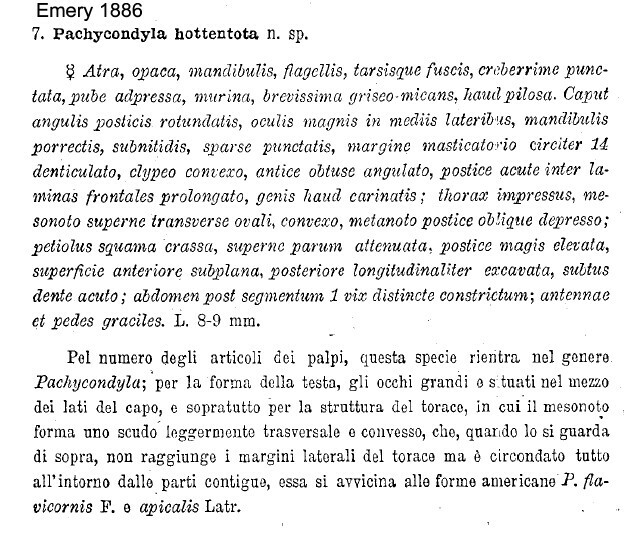 Note: lanceolata not listed by Schmidt & Shattuck, 2014: 125). 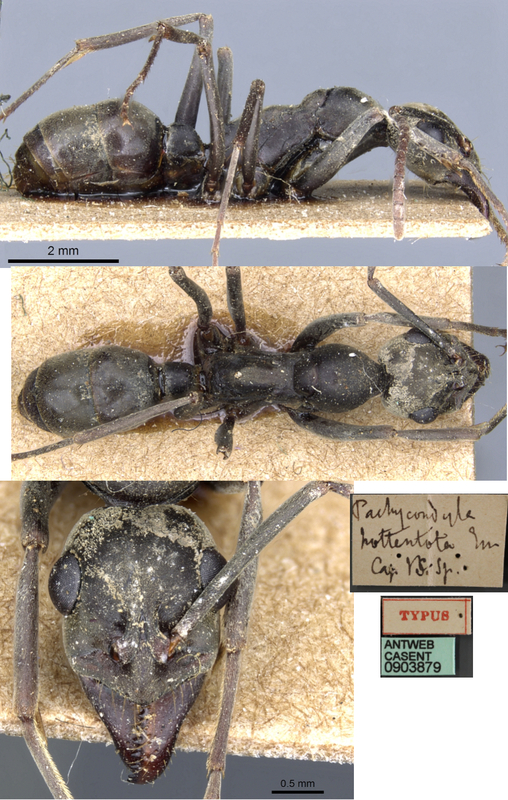 The photomontage of the type worker is collated from http://www.antweb.org/specimen.do?name=casent0903879. Note: I have applied a colour correction to get nearer the Arnold description of it being black with fulvous pubescence.